Pierre Gasly will not race Toro Rosso’s upgraded front wing in the United States Grand Prix after taking it off before Saturday’s Formula 1 qualifying session at Austin. Toro Rosso introduced a new front wing as part of an upgraded aero package that also included a revised floor. However, with Friday’s running limited and taking place in wet conditions – and the team having just the one package in the US – Gasly used the old spec in qualifying and will need to keep that for Sunday’s race. He explained: “In the end we took it off after FP3, so I had a similar package to Brendon [Hartley]. “We didn’t have much time to understand how to extract the maximum from it. “I think we need more running, need to analyse a bit more, to get the gains we should get. “So, we decided to revert to a similar package to the old one, for this weekend. 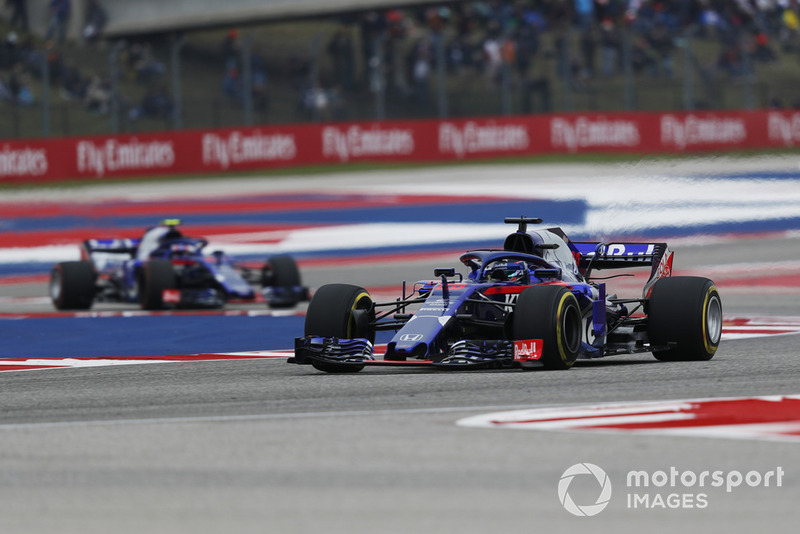 Toro Rosso did not contest the second part of qualifying because both drivers have grid penalties thanks to a need to fit new versions of Honda’s upgraded engine. 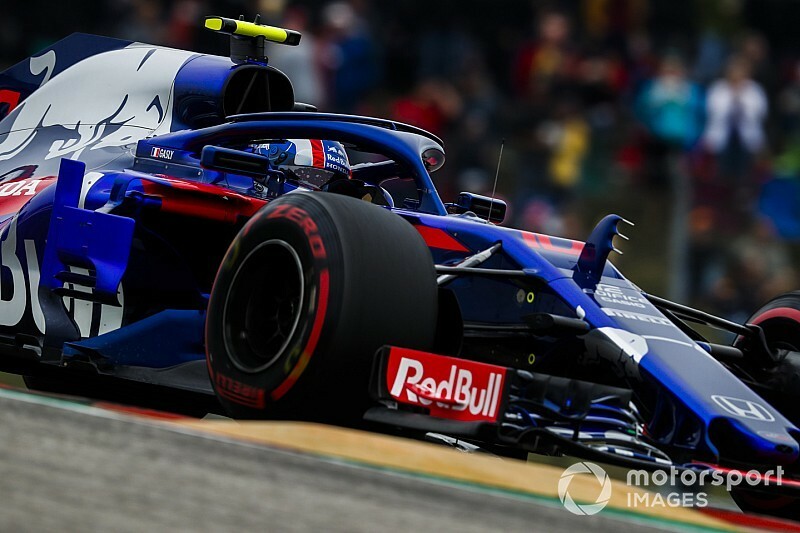 Even without the upgraded aero package Gasly posted the seventh-fastest time in the first part of qualifying, lapping just a tenth behind Toro Rosso’s senior team Red Bull. “It’s all looking pretty good. Like in Suzuka [where Honda introduced its engine upgrade], we showed some good performance with the new spec. 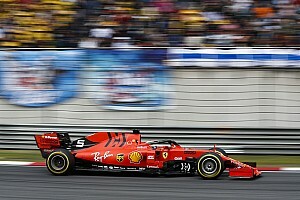 “This weekend, we have a similar engine, not gains in terms of performance but slightly different components. “I think it’s looking really positive. The new spec works well. 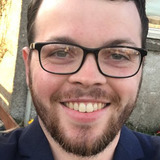 “I don’t want to get too excited but clearly they made a good step compared to Renault [Red Bull’s current engine supplier before it switches to Honda for next year]. Hartley was less competitive in Q1 but did manage to overturn a deficit to McLaren’s Fernando Alonso on his final run to squeeze into Q2. The New Zealander’s most high-profile moment on Saturday was when an aerodynamic appendage on his car’s halo device broke off and struck his helmet in FP3. “I just felt something hit my head,” said Hartley. “I didn’t know what it was, actually. “I just told them on the radio that something hit the helmet and check the car but it was the top of the carbonfibre from the halo.